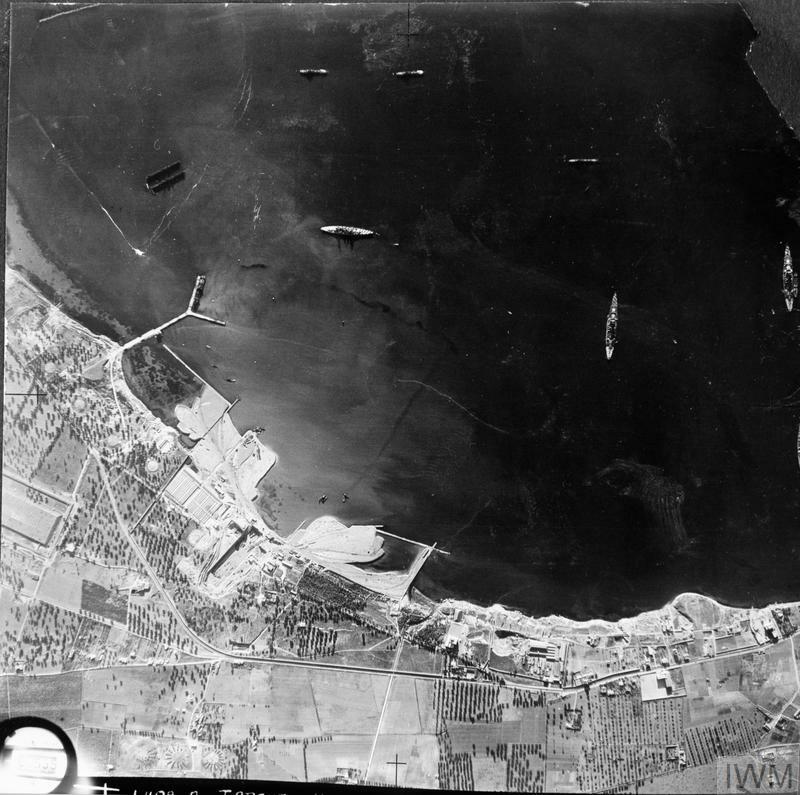 Oblique aerial photograph taken from the first of 12 Bristol Beaufighters of No. 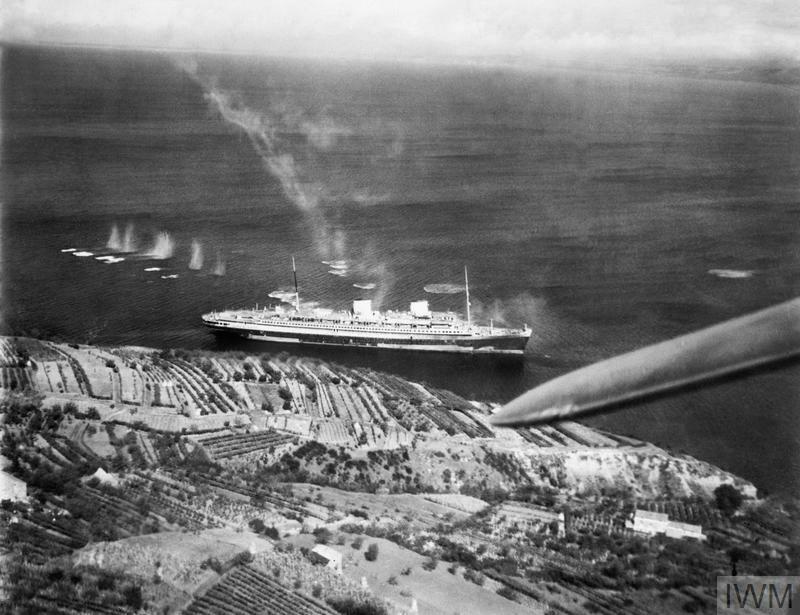 272 Squadron RAF that made a low-level attack on the Italian liner REX in Capodistria Bay south of Trieste. 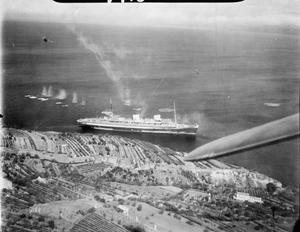 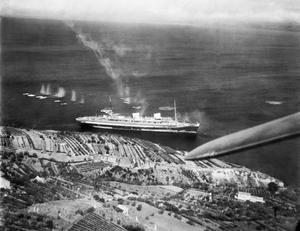 Although the rocket projectiles fired by this aircraft can be seen to have missed the vessel, she was subsequently hit by 59 RPs and numerous cannon rounds fired by the other Beaufighters, which left her on fire and badly listing. 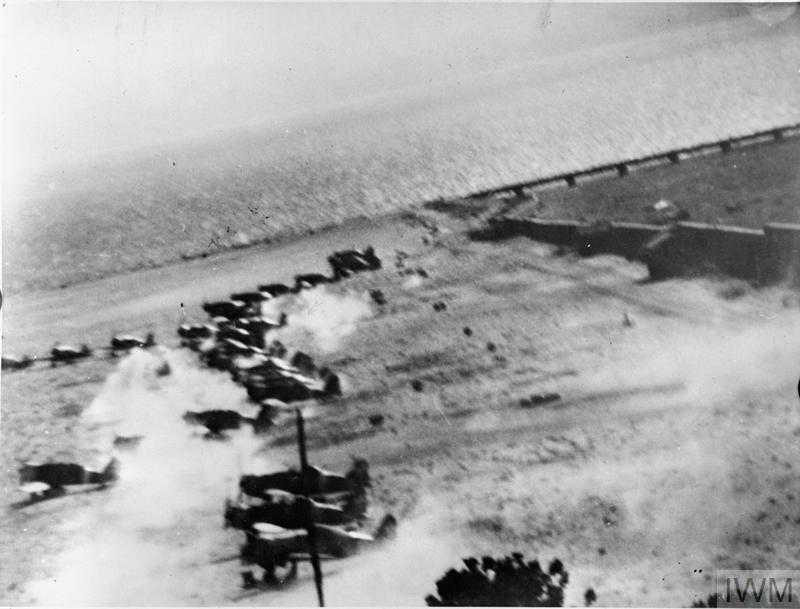 The REX was finished off later that day by twelve more Beaufighters from No. 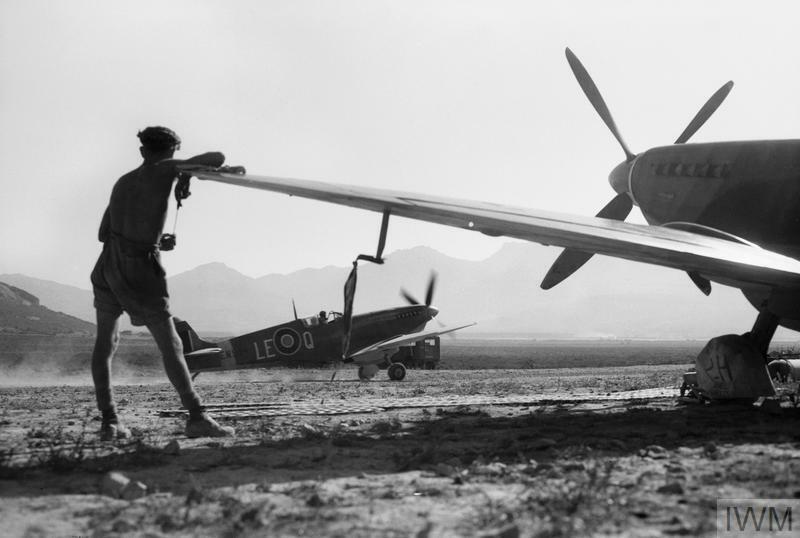 39 Squadron RAF and No. 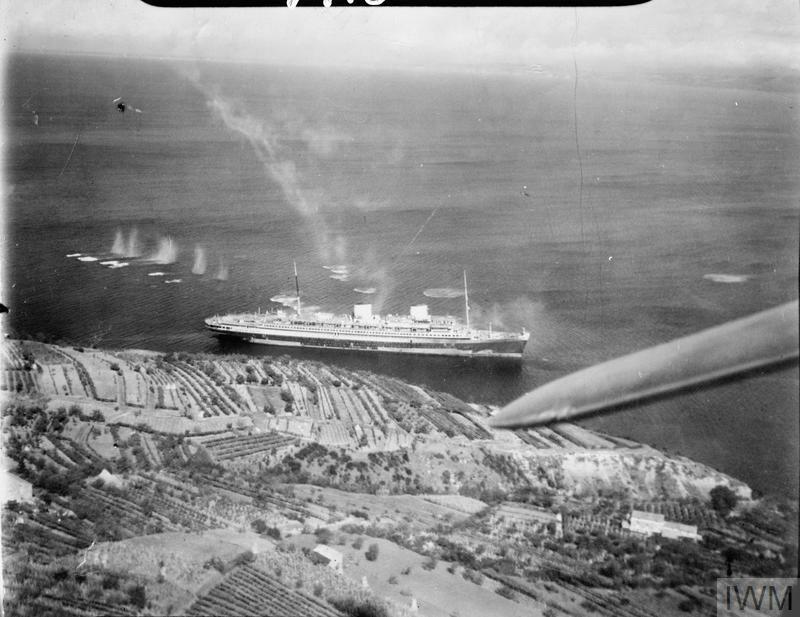 16 Squadron SAAF when, following another attack with RP and cannon, she rolled over and sank in the shallow water.